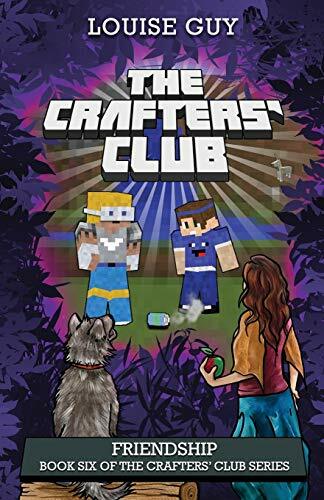 Turmoil erupts when the Crafters&#x2019; Club members transport a potion from the real world into the Minecraft map. Their plan is sabotaged, leaving Archer and Spirit in extreme danger. JJ, Jamie, Annie, and Charli have no time to waste as a hair&#x2013;raising adventure unfolds. Explosions, mobs, and potions, create further complications as the members try to outwit their enemy and survive. Putting her Melbourne based life-style and marketing career on hold, in 2003 Louise and her husband took off on a great Australian adventure. One four-wheel drive, one map, one year. That was the plan. Twelve years, many thousands of kilometers, and two kids later, they are yet to return to Melbourne. Now living on Queensland's beautiful Sunshine Coast, Louise is using her writing background exactly how she dreamed one day she would; writing, publishing and promoting books. Louise writes contemporary women's fiction as well as adventure stories for children aged 6-12. When she's not writing, you'll find Louise at one of her favorite haunts; the pool, the Noosa river or at the beach with the kids. When the sun goes down, she would love to say you'd find her curled up with a glass of wine and a good book, but as anyone with young children will testify, that is part of her fantasy life, not her reality. Still, with an ever growing 'to be read' pile, Louise loves every opportunity she gets to switch on her kindle, press play on an audiobook or smell the crisp, fresh pages of a new release from a favorite author.